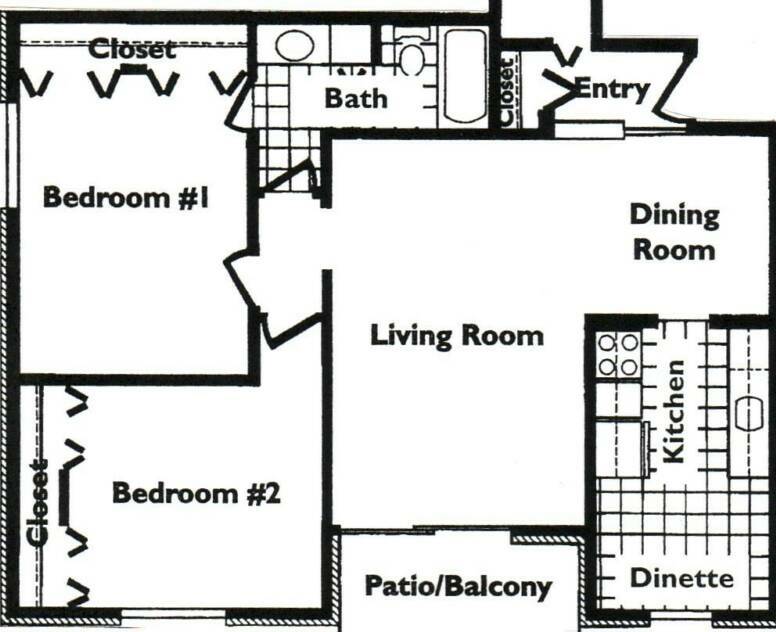 Our spacious floor plans for our 1 & 2 Bedroom units were designed to fit everyone's needs. 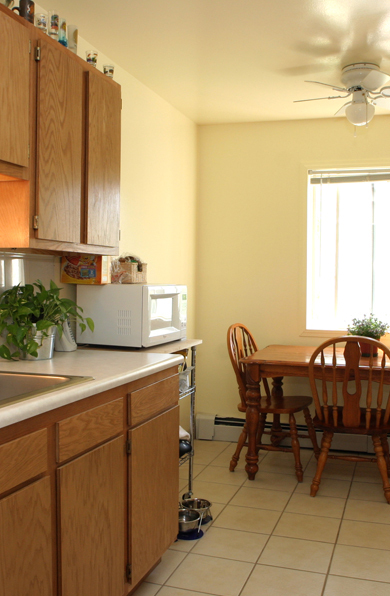 Our larger 2 bedroom units are bright and spacious. They offer a large eat in kitchen with a window, "L" shaped living/dining room combo, wall to wall closets in the bedrooms and full bathroom with access from the master bedroom. 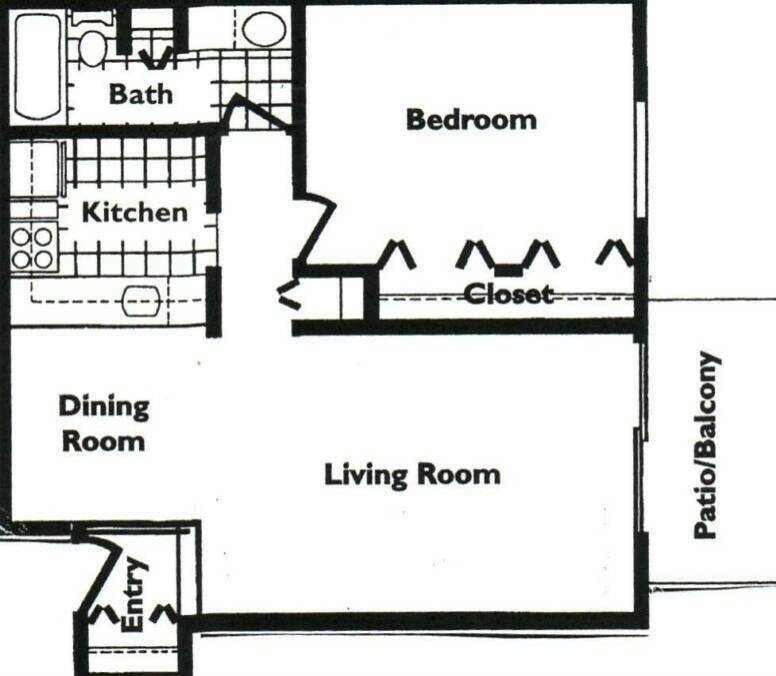 These 2 bedroom units offer tons of closet space with a walk in closet in the master bedroom, a kitchen with a breakfast bar including a pantry closet and living/dining room combo. 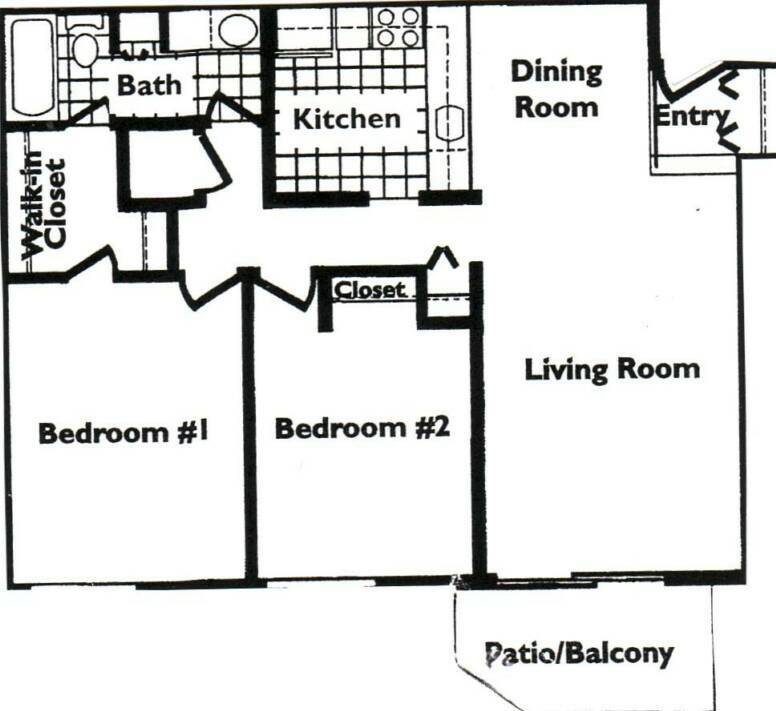 Our largest 1 bedroom units offer a kitchen with a breakfast bar, extra cabinet space including a pantry, living/dining rm combo, and wall to wall closets in the bedroom. 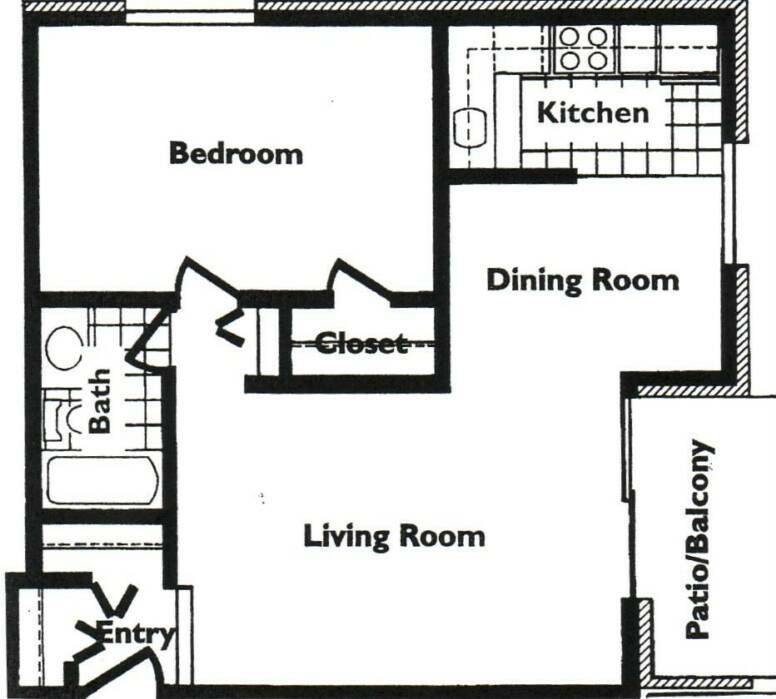 These bright 1 bedroom units offer a great open floor plan with a large kitchen and dining area,full bathroom and and a large bedroom with a walk in closet. All of our units have recently been renovated and include oak cabinetry, dishwashers, ceiling fans in the kitchen and dining areas, ceramic tile in the kitchen and bathroom and new windows. Window treatments are also provided. ** laminated wood flooring is available in select units.